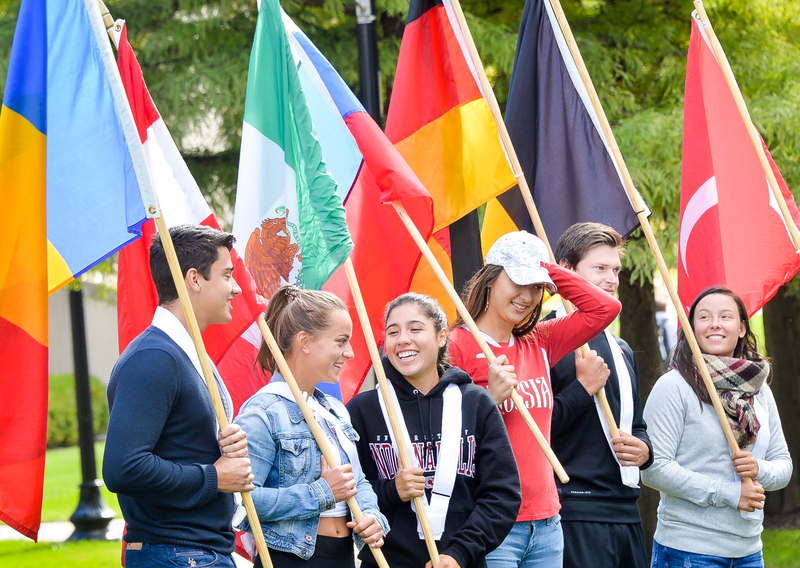 UIndy highlighted the global diversity of its campus community today with the 28th annual Celebration of the Flags, that colorful and moving fall tradition recognizing the many home countries of current students, faculty and staff. The centerpiece, as always, was an Olympic-style procession in which flag bearers, many dressed in traditional garb, paraded with their national colors as the countries were announced. This year’s event featured 78 nations. The program this afternoon included a string trio performance by Anastazi Vithova on the violin, Emma Bryant on the viola and Brynn Stebbe on cello. 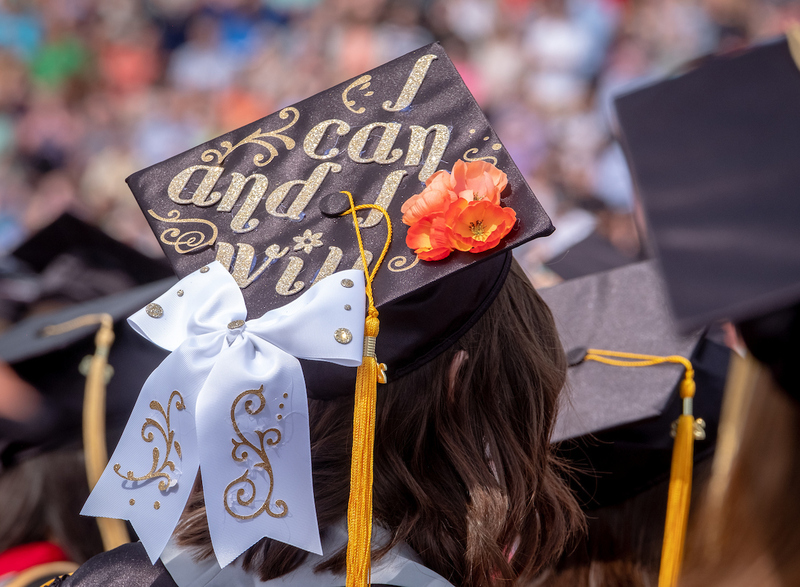 Remarks were given by UIndy President Robert Manuel, International Student Representative Sultan Salam, and Indianapolis Student Government President Jason Marshall. After the program, attendees enjoyed international snacks and learned more about the various cultures at tables manned by students from China, Canada, Africa, Saudi Arabia, India, and Ireland.